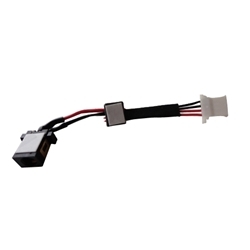 New Acer Iconia Tab W700 W700P Dc Jack Cable 50.L0EN2.001 - 2 1/4"
Home → Tablet Parts → Acer Iconia Tab W700 W700P Dc Jack Cable 50.L0EN2.001 - 2 1/4"
Acer Iconia Tab W700 W700P Dc Jack Cable 50.L0EN2.001 - 2 1/4"
Description: New genuine Acer dc jack cable. There are 2 cables for the models listed below. Please make sure that you are purchasing the correct one. This cable is 2 1/4" in length. Acer Iconia Tab W700, W700P.